Kevin M. McGuire is Counsel in the Banking, Coal and Energy industry groups, focusing primarily on litigation. He practices out of the Firm’s office in Lexington, Kentucky. As someone who spends his free time reading spy novels, Kevin’s interest in solving problems and puzzling out complicated facts makes him a natural fit for the world of environmental law. Untangling the legal morass that is environmental regulation takes patience and experience, which Kevin has in spades. Kevin has spent his entire legal career at Jackson Kelly, representing businesses and individuals in litigation and regulatory proceedings involving environmental compliance, permit applications and challenges, manufacturing and supply contracts, insurance and reinsurance insolvencies, risk management, and director and officer liability. 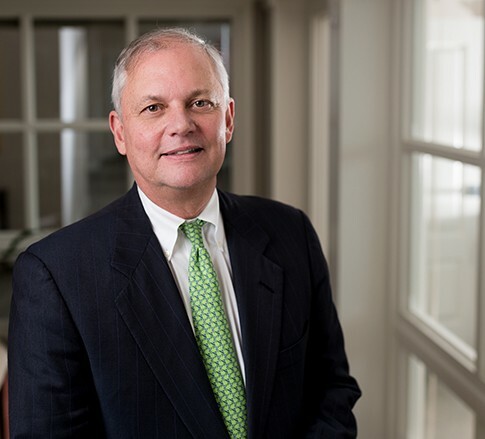 His clients include leading coal, oil and gas, manufacturing, reinsurance, banking, and agricultural firms – all of which he assists in understanding and navigating federal and state agency rules and regulations in connection with innovative energy, technology, and agricultural projects. He has written numerous papers and lectured frequently on environmental, energy, and reinsurance topics. Kevin frequently represents the coal industry in multiple regulatory challenges and enforcement actions brought by the U.S. Environmental Protection Agency, the Sierra Club, Appalachian Voices, and other citizen activist groups under the Clean Water Act and other regulatory programs. He represents publicly-traded and foreign companies in ongoing coal asset acquisitions and divestures, focusing on permitting, bonding, legacy liability, and environmental due diligence. He also represents start-up companies with projects under the 2014 U.S. Farm Bill. As lead counsel for the liquidator of a professional reinsurer headquartered in New York City and involved in the international long-tail casualty business, Kevin has experience in the various aspects of court-supervised insurance insolvency proceedings and has led or supervised litigation in numerous other states and foreign jurisdictions, including Bermuda, the Grand Caymans, the United Kingdom, New York, Illinois, California, North Carolina, and Florida. He’s had the privilege of representing clients before the United States Supreme Court and the House of Lords, Privy Council, in London. Kevin assisted with the founding of the Kentucky Equine Education Project, the trade association for all horse breeds and activities in Kentucky. When he’s not reading, you can find him golfing or trying to learn to sail. Negotiated significant settlement with U.S. EPA and U.S. Army Corps of Engineers resolving federal court enforcement action and resulting in the issuance of an “after-the-fact” CWA § 404 fill permit to coal company client.